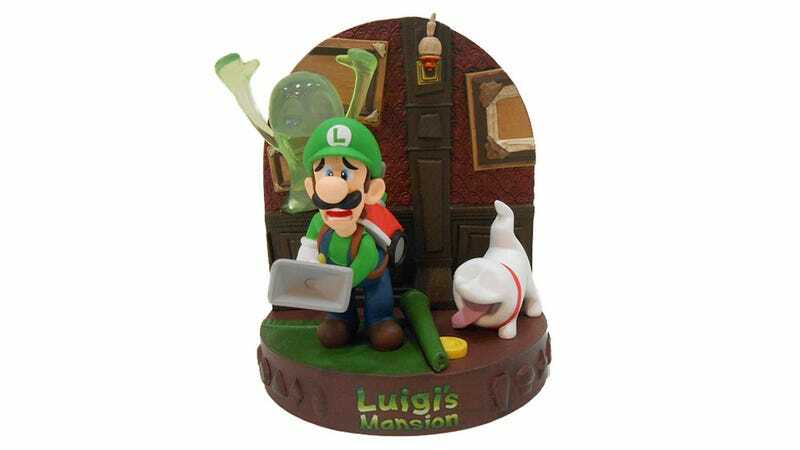 As This, The Year Of Luigi draws to a close, let us gaze upon one of the finest Club Nintendo exclusives ever to materialise. Sadly, he will be out in March 2014, which is Not The Year Of Luigi (it'll be The Year Of Someone Else). The cost is 1500 Coins, which for an exclusive 5-inch figure that looks this damn good is...OK! The best part is that the back of the piece "is proudly emblazoned with the "Year of Luigi" logo."